Andrew Scott Walter (born May 11, 1982) is an American businessman and retired NFL quarterback. He was drafted by the Oakland Raiders in the third round of the 2005 NFL Draft after playing college football at Arizona State University. He was also a member of the New England Patriots. Walter is an Arizona native, born in Scottsdale. He moved to Colorado at the age of 10, where he later attended Grand Junction High School in Grand Junction, Colorado. He was an all-conference selection as a junior and senior and a USA Today honorable mention All-American. Prior to his NFL career, Walter played quarterback for his hometown school, Arizona State University (ASU) where he earned a BA in Communication. Walter completed his collegiate career with numerous Pacific-10 Conference records including, most career touchdowns (85) and most yards passing in a game (536). He also set numerous school records, which include most passing yards (10,616), most completions (777), most touchdowns (85), and total offense (10,142). Walter's redshirt freshman season at Arizona State University saw limited playing time behind sophomore starter Jeff Krohn, including reserve duty in a losing effort against the University of Oregon. After a 4–7 record under new head coach Dirk Koetter and only one win in the Pacific-10 Conference, Krohn transferred out of ASU following the season. With an opening at quarterback, Walter seemed to be the favorite going into the season to start. This turned out not to be the case, however, when Walter was kept as the backup after redshirt freshman, Chad Christiansen, had impressive spring and fall practices. In September 2002 the Sun Devils fell behind the San Diego State University Aztecs 22-0. Christiansen was largely ineffective and was replaced by Walter. Walter entered the game with a protective boot due to an injury he sustained during the previous week of practice. The injury did not prove to be a factor as Walter connected with wide receiver Shaun McDonald for an 72-yard touchdown pass on his first play from scrimmage. Walter's second pass from scrimmage also ended up as a touchdown. ASU came back to beat the Aztecs, 39-28, in the largest come-from-behind win in ASU history. Later in the season, ASU put together an impressive win streak, and beat #6 Oregon at Autzen Stadium in Eugene, Oregon, where the Ducks had lost only one game at Autzen over the previous four seasons. After falling behind 21-0 in the second quarter, Walter led the Sun Devils to a 45-42 upset win over the Ducks, breaking a Pac-10 single game record for passing with 536 yards. ASU ended the regular season with an 8-5 record and nearly upset the Kansas State Wildcats, who were favored by 17 points over the Devils, in the 2002 Holiday Bowl. Although ASU narrowly lost the contest 34-27 (relinquishing the lead only once, in the closing minute of the game), Walter achieved the ASU single season passing record with 3,877 yards. 2003 was marked as a disappointing season for Walter and the Sun Devils. ASU started the season ranked at #15 but put up disappointing performances against traditionally weaker opponents Northern Arizona University and Utah State University. The Sun Devils suffered their first loss at the University of Iowa, losing 21-2 to the Hawkeyes. Despite the Sun Devils achieving a 5-7 record (2-6 in the Pac-10), Walter still threw for 3,044 yards, including the game winning touchdown against North Carolina as time expired. Walter also earned the Territorial Cup MVP when ASU beat their arch-rivals the University of Arizona at Sun Devil Stadium. At the end of the 2003 season, Walter decided to forgo his opportunity to jump into the NFL and decided to stay at Arizona State for his last year of eligibility. Walter's senior campaign featured a number of highs and lows. Walter lead the Sun Devils to a comeback year where the Devils piled up an 8-3 record and clinched a berth in the Vitalis Sun Bowl. Walter also surpassed practically every ASU quarterback in every statistic. Walter also surpassed NFL legend John Elway as the Pac-10's all time touchdown leader. During the 2004 season, Walter helped the Devils defeat #15 Iowa 44-7. His low point of the season came when Walter went down in the fourth quarter during the regular season finale against Arizona and suffered a third degree shoulder separation, forcing him to miss the Sun Devils' post-season Sun Bowl game (a 27-23 victory over Purdue). Walter was selected by the Oakland Raiders in the third round (69th overall) of the 2005 NFL Draft. Walter spent his 2005 rookie season as the third string quarterback for the Raiders behind Kerry Collins and backup quarterback Marques Tuiasosopo. Walter played in only two preseason games because of a groin injury, one that eventually required surgery at the conclusion of the 2005 season. Entering the 2006 season, Walter was expected to compete for the starting quarterback position with Tuiasosopo and Aaron Brooks. After a poor performance by Brooks in Week 1, Walter replaced him late in the game. The next week, Walter once again replaced Brooks due to poor performance including two fumbled snaps. Following the announcement that Brooks would miss 2–4 weeks with an injured pectoral muscle, Walter started the Week 4 game against the Cleveland Browns. On October 22, he led the Raiders to their first win of the year, defeating the Arizona Cardinals. However, Brooks returned in November and re-took the starting quarterback job from Walter, who would only start one more game in 2006. After the season, the Raiders drafted JaMarcus Russell with the first overall pick in the 2007 NFL Draft. Walter would begin the season as the Raiders' third quarterback, with veterans Daunte Culpepper and Josh McCown seeing time over Walter, who was only active for one game in 2007. He finished the season with just five pass attempts. With Russell taking the starting job in 2008, Walter continued to serve as the Raiders' third quarterback. He was active for just two games in 2008, starting one but posting only a 43.8 completion percentage. Walter was released by the Raiders on July 30, 2009, finishing his Oakland career with a 52.3 completion percentage. Walter was signed by the New England Patriots in August 2009 after the team waived quarterback Matt Gutierrez. He was released on September 4. After choosing to leave the NFL at age 27, Walter was the first player to participate in the NFL Player Development Internship Program in commercial real estate at CB Richard Ellis in Phoenix. Walter then returned to Arizona State University to earn an MBA from the W.P. Carey School of Business. Walter founded and serves as the managing partner of Andrew Walter Holdings, a senior secured business lending firm. He’s undertaking another lending project called Redlands Capital, which will serve as the next generation to his start-up business. Walter has gained additional underwriting experience as a credit analyst at MidFirst Bank. 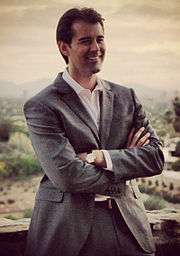 Walter lost in the 2014 Republican primary election against Wendy Rogers for the House of Representatives seat in Arizona's 9th congressional district and plans to open a restaurant and music venue in Tempe, Arizona. Walter serves on the advisory board of Veteran Tickets Foundation, a Scottsdale-based nonprofit that connects veterans with game, show, and event tickets (all gifts are tax deductible).